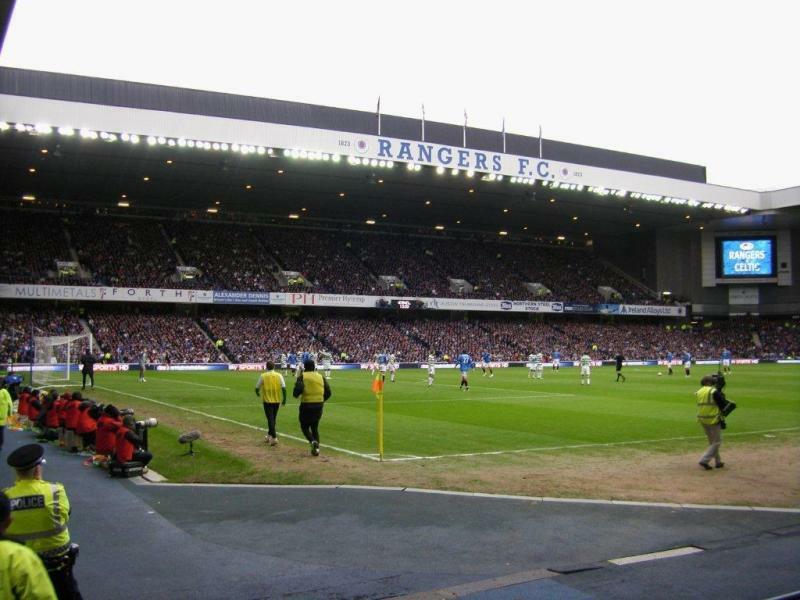 Rangers FC moved to Ibrox in 1899, leaving behind the original Ibrox Stadium. 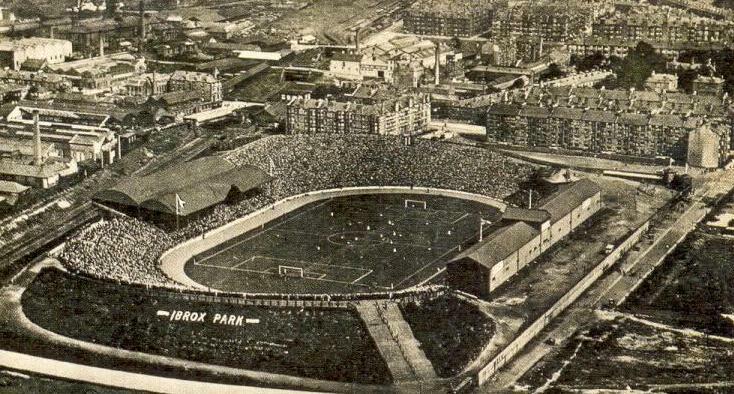 The first match played at the stadium was a match versus Hearts on the 30th of December 1899. 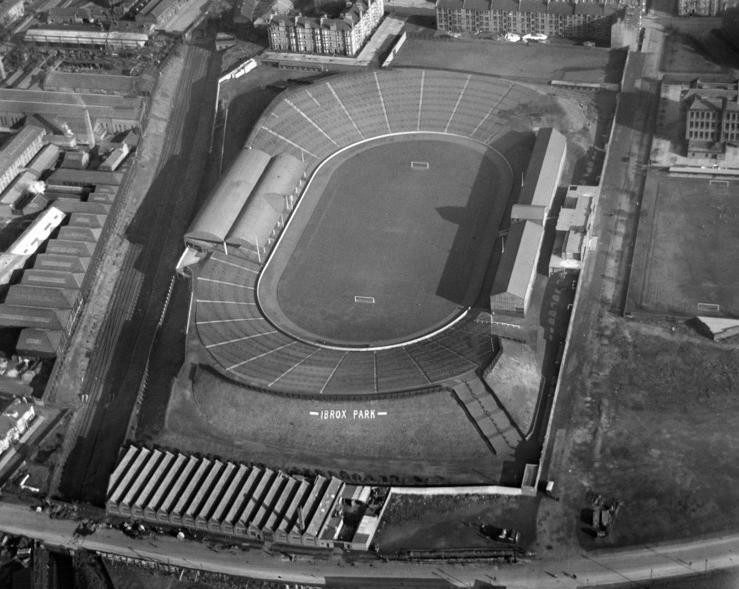 Ibrox was initially oval-shaped, had a track circling the pitch, and mainly consisted of wooden scaffold type terraces. In its first few months it got rapidly expanded to a capacity 75,000. 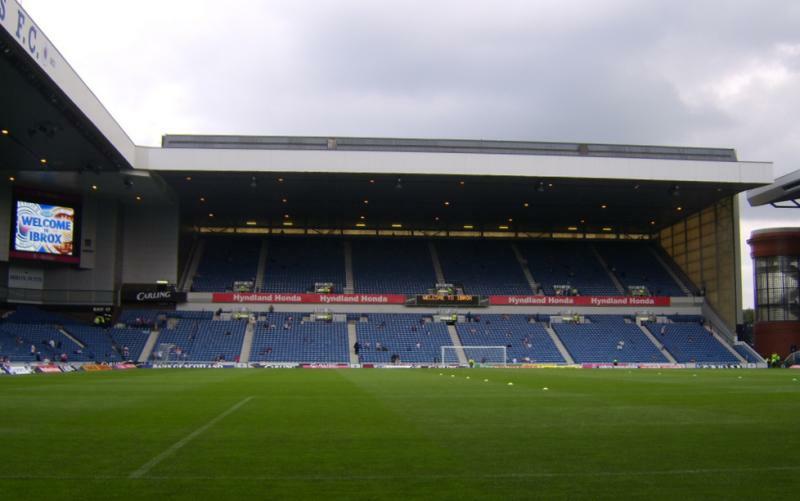 In 1902, Ibrox was awarded an international match between Scotland and England. However, 51 minutes in the match part of the wooden terraces collapsed and 26 people died. The incident led to the prohibition of wooden scaffold type terraces in favour of solid earth banking. The removal of the wooden scaffolding stands after the incident reduced capacity to 25,000, but the stands were quickly replaced by terraces with a base of earth banking. 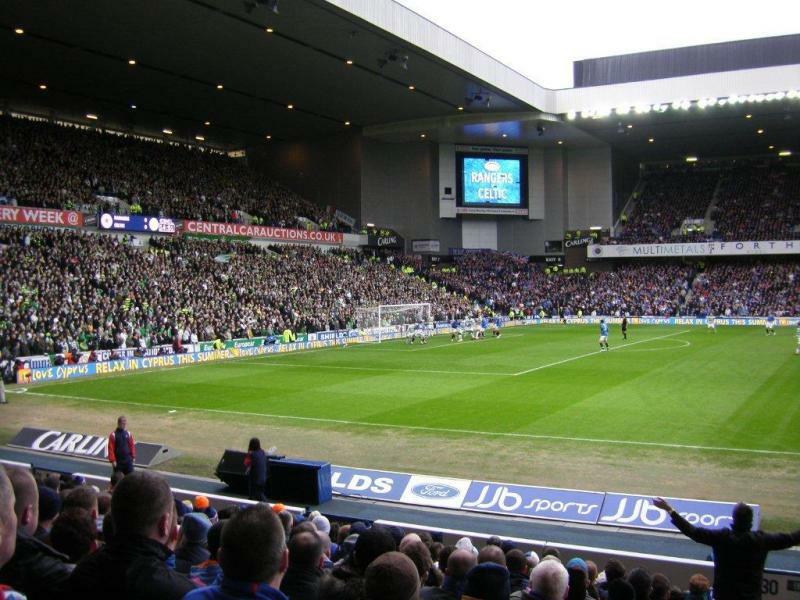 Ibrox achieved its record attendance in 1939 when 118,567 supporters visited the Old Firm match against Celtic. Few changes were made to the stadium in the decades that followed. 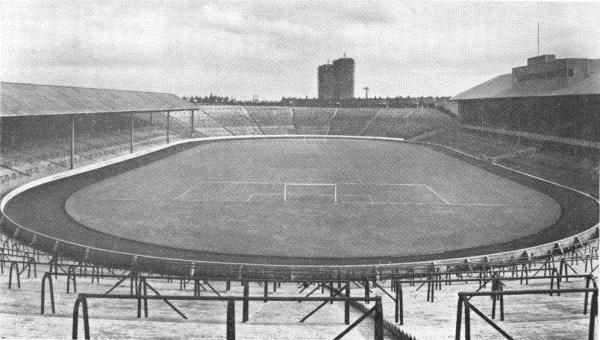 Ibrox was again the site of a major stadium disaster in 1971. 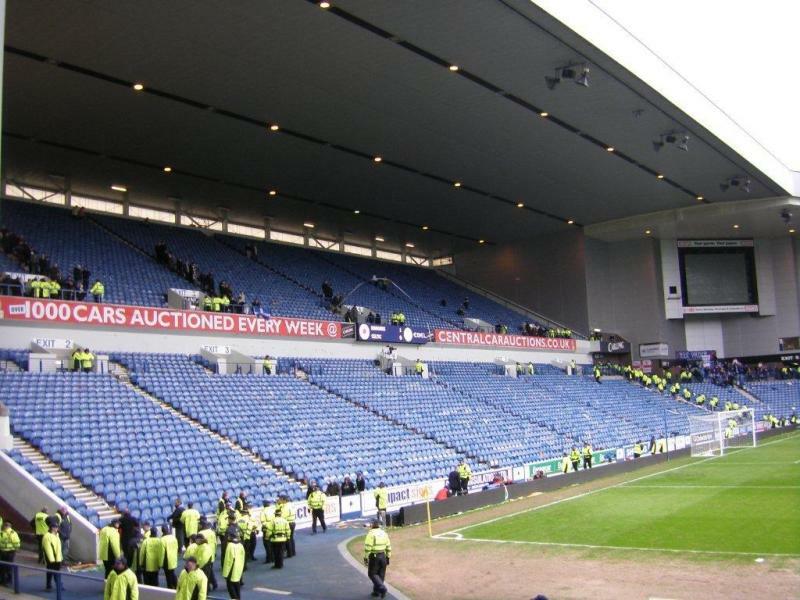 This time, 66 people were killed in a crush that happened at one of the exits after a game against Celtic. This resulted in the gradual conversion of the stadium into an all-seater, which started with the placement of benches in the North Stand. Subsequent works included the construction of tree new stands, modelled on the rectangular shape of Dortmund’s Westfalenstadion. The first was the new Copland Road Stand, which opened in 1978, and which was followed by a new West Stand in 1979 and a new Govan Stand in 1981. 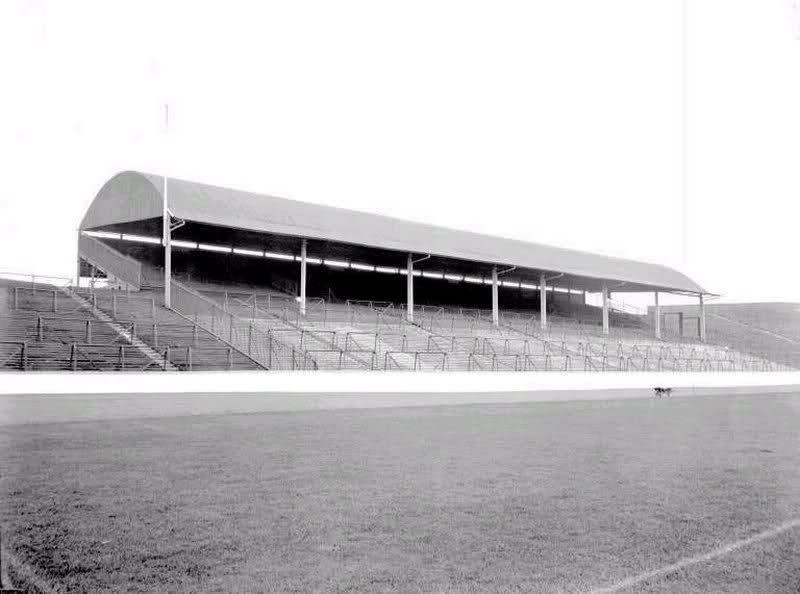 The original Main Stand was the only one left standing. 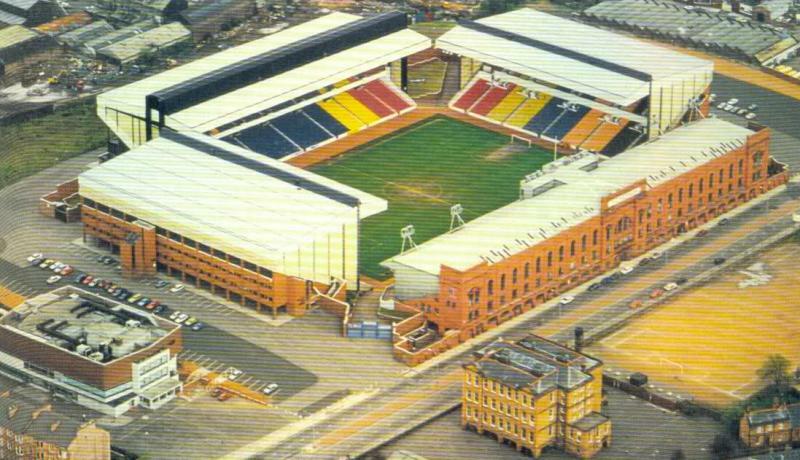 Ibrox got further improved and expanded between 1990 and 1997 by a series of smaller extensions and the refurbishment of the main stand. The works were capped with the installation of two Jumbotron screens in the two remaining empty corners. 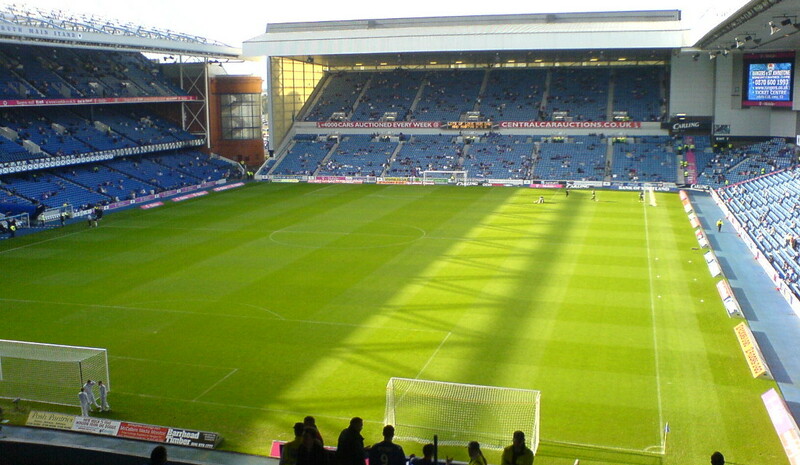 Ibrox is located slightly south-west of Glasgow’s city centre on the south bank of the river Clyde at about 2.5 miles from the central rail station and city centre. The stadium stands close to the M8 motorway. Exit either at junction 23 or 24, and turn north. After a few hundred metres turn right at the roundabout. The stadium is on your left hand side. If using public transport, Ibrox is best reached by metro. The circular Glasgow subway system links Ibrox with the city centre. Board the metro in the centre, e.g. at Buchanan Street or St Enoch, and get off at station Ibrox. The journey is slightly quicker via the Outer Circle, taking 10 to 15 minutes. 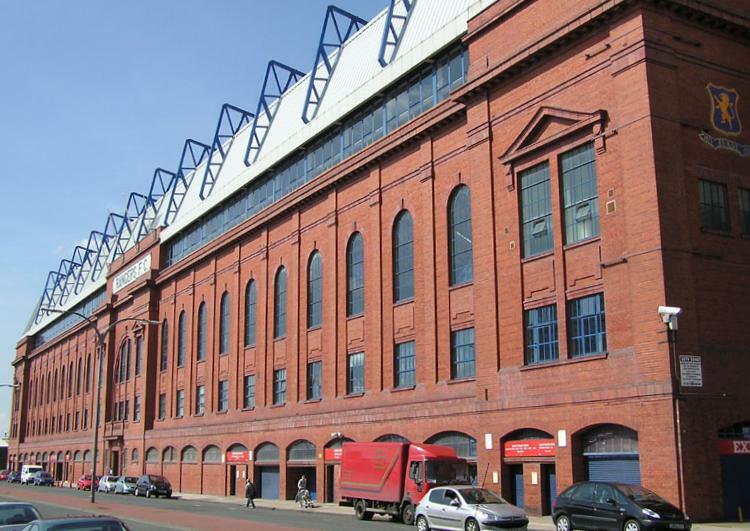 Ibrox Stadium is located in a quiet area which is a mix of residential buildings, light industry, and offices. There are a few pubs and eating options, mainly on Paisley Road West toward the centre, but the options obviously pale in comparison with the city centre. The area around Sauchiehall Street and Bath Street boasts various pubs and bars and is not far from the Cowcaddens and Buchanan Street metro stops. The Merchant City area has also many eating and drinking options and lies close to the St. Enoch metro stop. The Swallow Glasgow Hotel lies a short walk from Ibrox, gets decent reviews, and is very affordable. The Ibis Budget Glasgow lies further away toward the centre but can still be walked from. The Campanile Hotel and Hilton Garden Inn lie on the other side of the river Clyde, but still (just) at walking distance. The Sherbrooke Castle Hotel, on the other side of the M77, is for those on a very large budget. 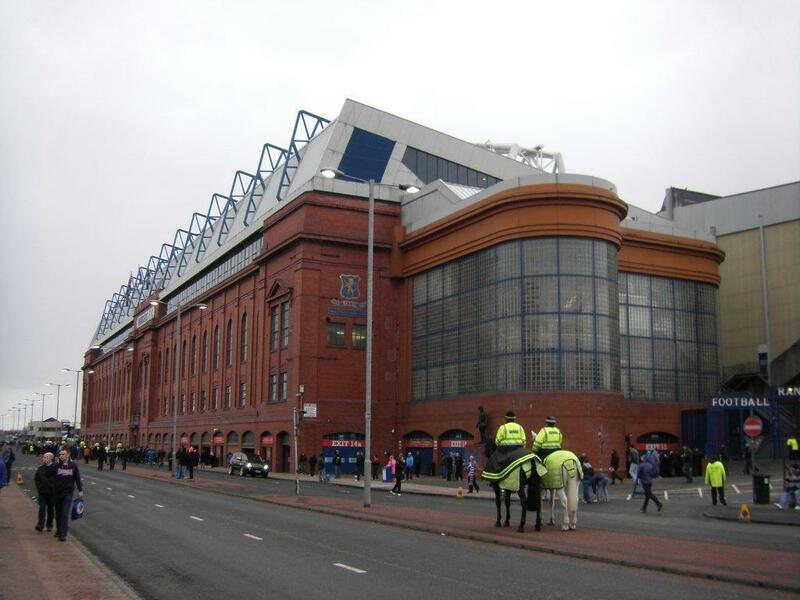 Click here for all hotels near Ibrox Stadium. Transport connections from the centre are good though, which means that you can just as well stay there. Click here for the options. Tickets for Rangers matches can be bought online, by phone +44 (0) 871 702 1972 (Ticket Hotline), or at the Rangers Ticket Centre at the stadium. Tickets can also be bought on the gate on the day of the match. 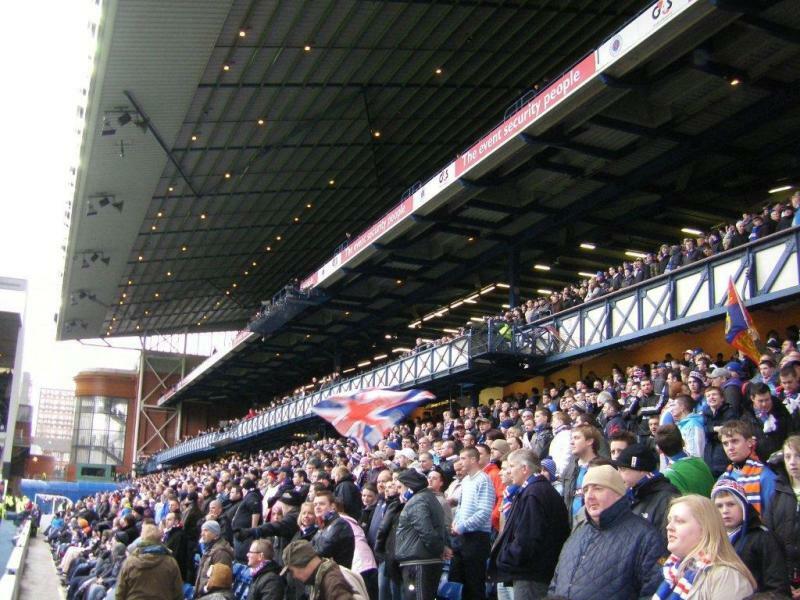 Rangers’ attendances have remained high in the lower divisions, but tickets will be available for most regular matches. Tickets cost either £17.00, £18.00, or £21.00. You can find a seating plan here. 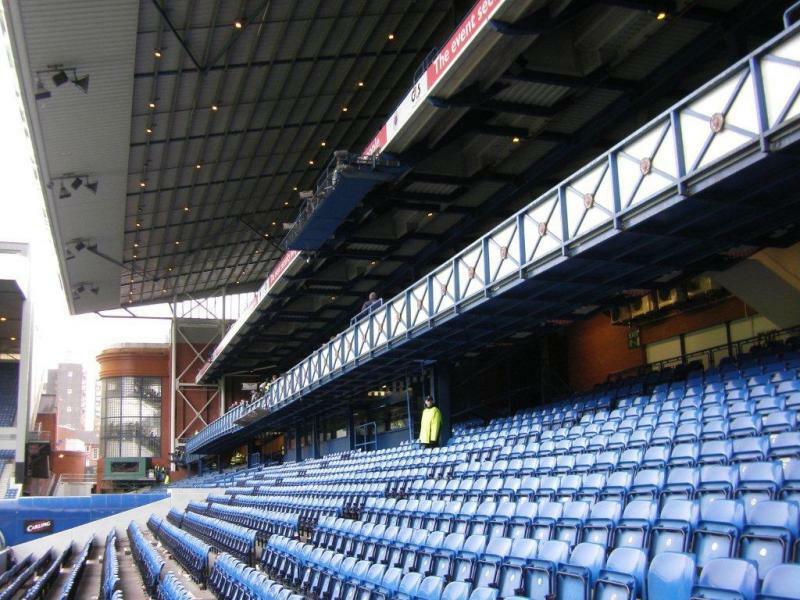 Rangers offer guided stadium tours that include access to the home dressing room, the players’ tunnel, dugouts, and the trophy room. The tour lasts about 90 minutes. Tours typically run every Friday, Saturday, and Sunday multiple times a day. There are no tours on matchdays. Tours can be booked online, by phone +44 (0) 871 702 1972, at the Rangers Ticket Centre, or at the JJB Rangers Megastore. The tour costs £8.00. 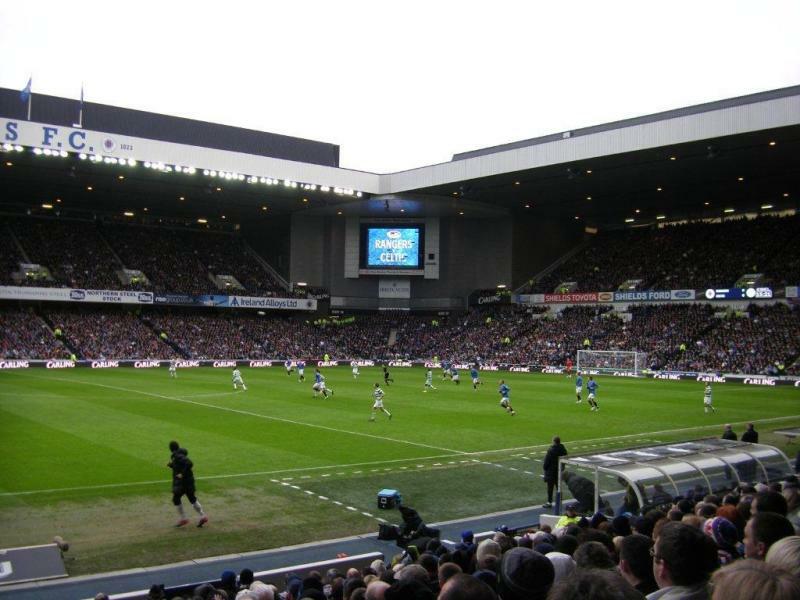 Rangers.co.uk – Official website of Rangers FC. Spt.co.uk – Public transport travel information and route planner for the Strathclyde area. I went to watch Rangers against Queens Park in 2013. Great place!Got my ticket online a good few weeks in advance. Got a bus from the airport to the ground and then taxi back. Very good atmosphere and very vocal support. I always loved Rangers and watching them live was something i will never forget. W.A.T.P. I lived close to hampden park when I was young so I supported, and was even signed as a queens park player by ex ranger Harold davies when he was in charge. Me and my pals would be ever present when queens trained at lesser hampden. A few of us were invited to take part occasionally in their sessions resulting in 4 of us being provisionally signed. Only one of us made it and I was not one of them. I was an avid queens park supporter then, but when my dad Robert pattie and next door neighbour archie dickie took me to my first Glasgow rangers match at ibrox against raith rovers, which rangers won 10-2, I immediately became a rangers supporter. This was along time ago now, but at the time was absolutely fantastic. I continued to follow and support rangers thereafter. The subject that is being scrutinised is the ibrox disaster of 1971. I was still an avid rangers supporter then, along with my London English girlfriend whom was in Glasgow at the time and I had acquired 2 tickets for this match. 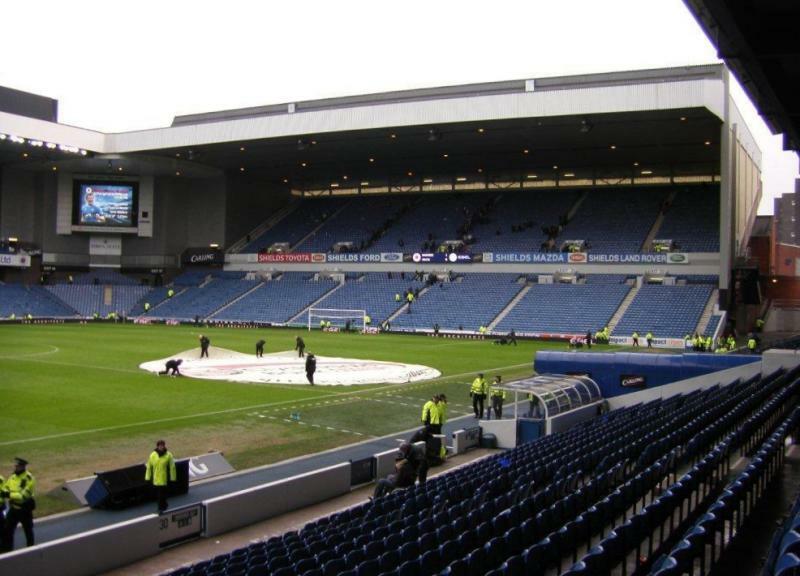 We had left ample time to arrive at ibrox in plenty of time to take up our position at the rangers end of ibrox for the match. In place and intrepidation of what was yet to unfold, We steeled ourselves for what was about to take place. As always the hatred of this event became evident and the hairs on the back of your neck stood up and brought trepidation and fear into your whole being. Honestly it is an indescribable feeling of hopelessness that paralyses you. Anyhow you carry on towards the conclusion of this game of football that means everything in your life. Win and you are champions loose and you are failures. To draw and loose 66 human beings is a catastrophe. What is more important. I witnessed the disaster of 1971. I will never be able to remove from my memory the trajedy of that evening. God bless you all. If you’re a home fan or friendly neutral there are interesting drinking experiences to be had in one of the various Rangers – minded bars near Ibrox ! Re the Subway – coming from town, the best way to get to Ibrox is indeed the Inner Circle via Hillhead (the Subway is a circular system like the Circle Line in London but a lot shorter). It’s a longer journey but you’ve more chance of actually getting a seat. Expect queues at Ibrox Station post – match. 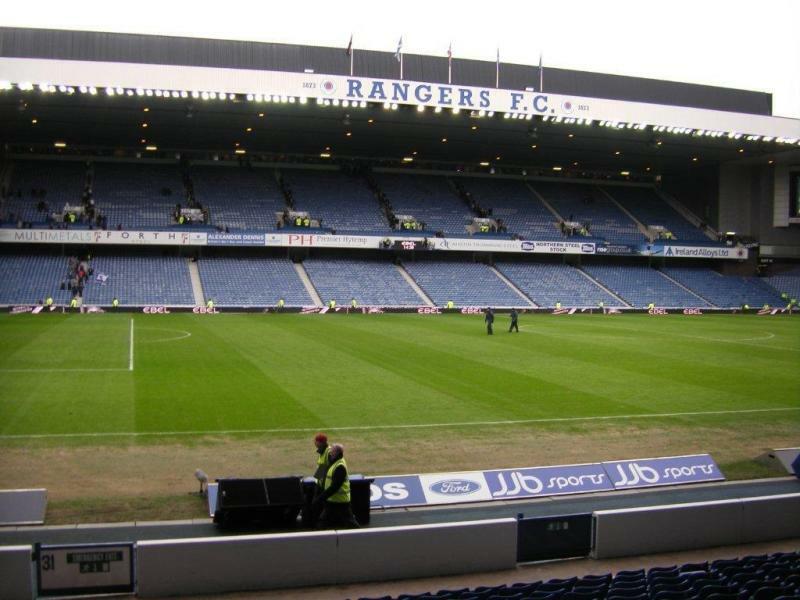 I first visited Ibrox in 1969 and Rangers beat St. Mirren 2-0. Freezing cold day but it was the start of a lifetime of memories. So many great players including the quite magnificent John Greig who is truely the greatest player ever to have ever lead the Rangers. The capacity was so different in the 1970’s, I remember attending a game against Hibs with over 70,000 people making up the crowd. The night the European Cup Winners Cup trophy was brought back to the Stadium and especially the semi final against Bayern Munich. Then so many games against Celtic, many were good some were not but always good fun. 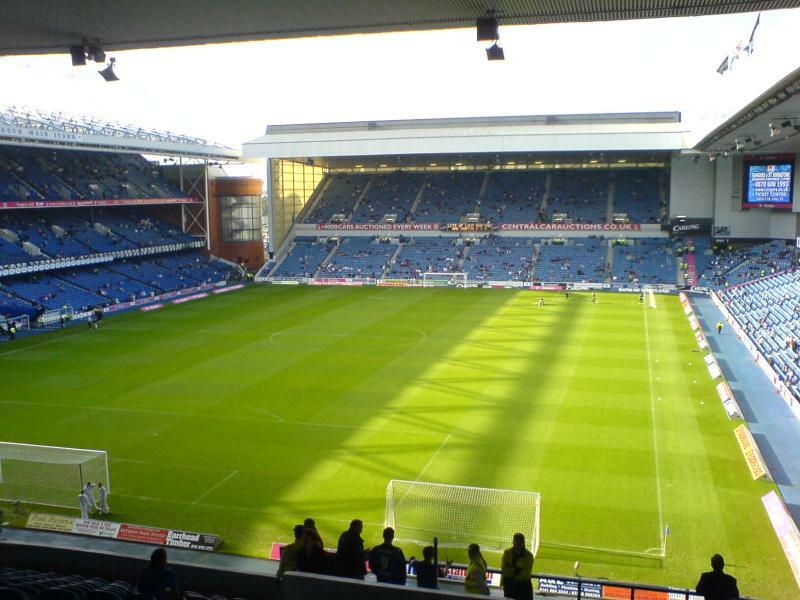 Ibrox is a great place to see a great club. OH I remeber that stadia packed to the gunnels and wee Jimmy Johnstone running rings roon the entire rangers defence. No to mention Franz Beckonbuars goal for Bayern Munich Man I’d have cried but my fatheer wouldv’e battered me.